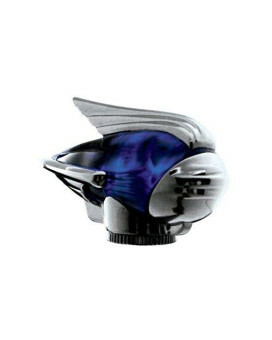 Shop body armors online in USA and protect your vehicle from dangers and risks during accidents. 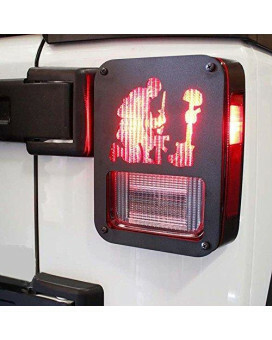 Not only would be shielding the vehicle but also helping it to get distinguished on streets. Maintaining the condition would never be an issue as you can wipe off dirt and dust quite easily. So, set yourself apart as you select an eye appealing design. 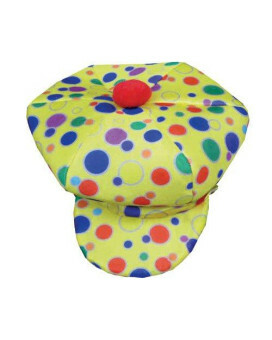 Complete your clown costume with this colorful Clown Cap that has a satiny finish and red pom pom on..
Xprite 2007-2018 Jeep Wrangler JK Unlimited Black Light Guard JEEP FRONT GRILL For Rear Taillights .. 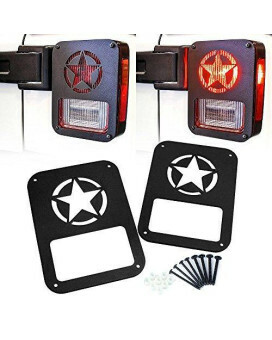 Features:Aluminum Alloy build with a High Quality powder coat that resists rust and dirt. 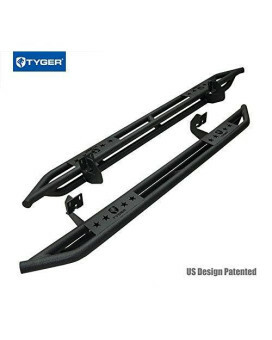 Protect ta..
Xprite 2007-2018 Jeep Wrangler JK Unlimited Black Light Guard American Military Five Star For Rear ..
Xprite 2007-2018 Jeep Wrangler JK Unlimited Black Light Guard American Fallen Soldier For Rear Tail..
HDX Grille Guard LED Light Brackets are a bolt-on solution to adding an LED Light Bar to an HDX Gril..
Warrior Products 920EPC Powder Coated Finish Center Cowling Cover for Jeep JK and Unlimited 07-10Cov..
VHT SP206 Blue Wrinkle Finish Paint - 11 Fl. Oz. 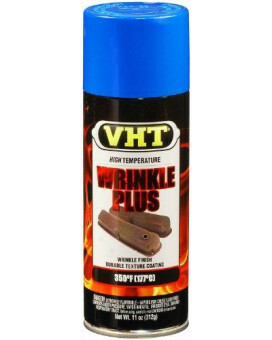 VHT SP206 Blue Wrinkle Finish Paint - 11 fl. oz.VHT Wrinkle Plus combines strong colors with a deep ..
VHT Wrinkle Plus combines strong colors with a deep rich texture for a custom look. It is temperatur..
VHT SP190 Matte Wheel Paint - 11 Fl. Oz. VHT SP190 Matte Wheel Paint - 11 fl. 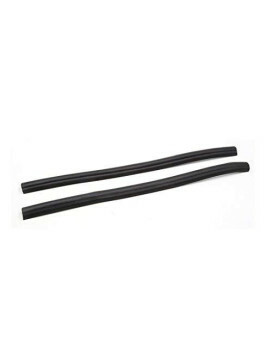 oz.VHT Wheel Paint provides a great finish and real protection ..
uxcell a17011200ux0525 2pcs Black 50cm Length Rubber Auto Car Door Edge Guard Mold Trim Soundproof ..
Universal fit for most cars vehicle. 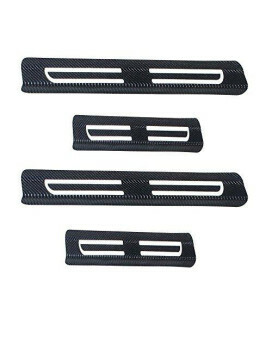 you can install it on car door or window, suitable for kinds o.. Description? 1.For All Cars. 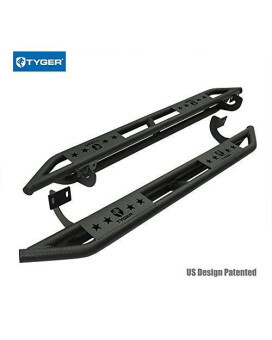 2.This door sill is carbon fiber vinyl, it is produced by BMW car body ..
Vintage style fender guides from United Pacific Industries is a blend of classic style with modern t..
U-Drive Auto Black Textured Side Armor Side Steps Nerf Bars For 2007-2018 Jeep Wrangler Jk 4 Doors ..
Black Textured Side Armor Side Steps Nerf Bars For 2007-2017 Jeep Wrangler JK 4 Doors Only (Use Fact..
Tyger Auto TG-AM2T20208 Star Armor Kit for 2007-2018 Toyota Tundra CrewMax | Textured Black | Side ..
TYGER AUTO focus on developing premium aftermarket auto parts that meet or exceed OE quality standar..
Tyger Auto Tg-Am2F20318 Star Armor Kit For 1997-2003 Ford F150/250Ld Super Cab (Incl 2004 Heritage)..
Tyger Auto Tg-Am2F20278 Star Armor Kit For 2004-2008 Ford F150 Supercrew Cab (Excl. 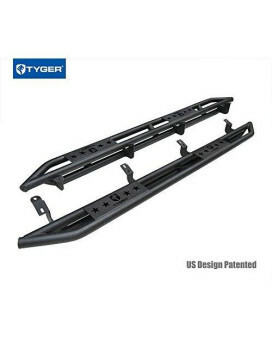 04 Heritage) | ..
Tyger Auto Tg-Am2C20438 Star Armor Kit For 2007-2017 Chevy Tahoe/Gmc Yukon | Textured Black | Side .. 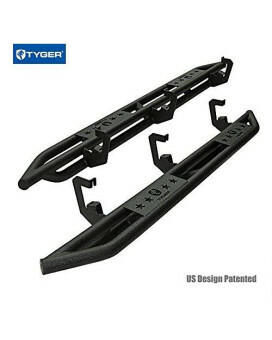 Introducing the new Tuff Stuff Jeep Wrangler Rocker Panel Side Armor plates with steps! Our Tuff Stu..